Sickle cell anemia can be a very hard disease to live with. Because your red blood cells can't carry enough oxygen to your body, it may affect your ability to work, complete daily tasks, or even get out of bed. Sickle cell anemia requires ongoing treatment, medicines, and hospital stays. If your sickle cell anemia is so severe that it prevents you from working, you may be struggling financially. Because sickle cell anemia is a type of physical disability, you may qualify for Social Security disability (SSD) benefits. However, the Social Security Administration (SSA) denies over three-quarters of initial applications. Hiring an experienced SSD attorney could mean the difference between receiving SSD benefits or not. Remember, the Social Security Administration is going to want to see proof that your sickle cell anemia is severe and that you're physically unable to work because of it. Before you apply for SSD benefits, a specialist should officially diagnose you with sickle cell anemia. 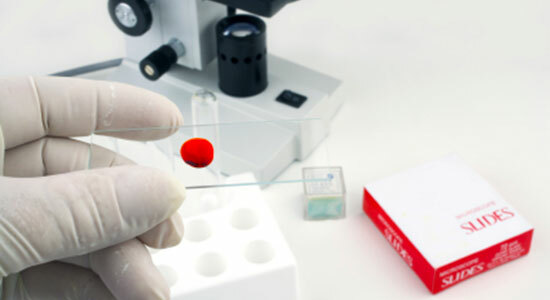 Complete Blood Count (CBC) tests, hemoglobin electrophoresis, and the sickle cell test are accepted tests to diagnose the disease. See your specialist regularly and undergo treatments, both to prevent and recover from crises. Without doing so, the government will likely not consider your sickle cell anemia to be severe enough to qualify for SSD benefits. The SSA will also check whether you paid into the Social Security system within the past five years. If you haven't worked enough – or recently enough – to qualify for SSD benefits, you may qualify for Supplemental Security Income (SSI). At our law firm, we understand the Social Security system and your odds of being approved for SSD benefits. That's why we've helped thousands of people who are disabled get the SSD benefits they need. Our track record speaks for itself. We win the majority of claims we appeal for our clients. But more than that, we go above and beyond in our client care. When you hire our law firm, you can trust you'll be treated with respect. We answer your SSD questions quickly, without the legal jargon. We update you on the progress of your appeal and guide you through the claims process. If we don't win your appeal, you won't owe us a penny. It's just one more way we take care of our clients. If you, or someone you love, is suffering from severe sickle cell anemia and can't work, contact us right away at 1-866-943-3427, or fill out our free legal consultation form. There are no strings attached – you are not obligated to use our services. Remember, if your SSD application was denied, you have only 60 days to file an appeal. Have questions about the application process? If you think you're eligible for SSD benefits, we can help you apply for Social Security disability. Hiring an attorney may mean the difference between collecting SSD benefits or not. Get started now. For more information on Social Security disability benefits, check out our Social Security disability articles and resources.